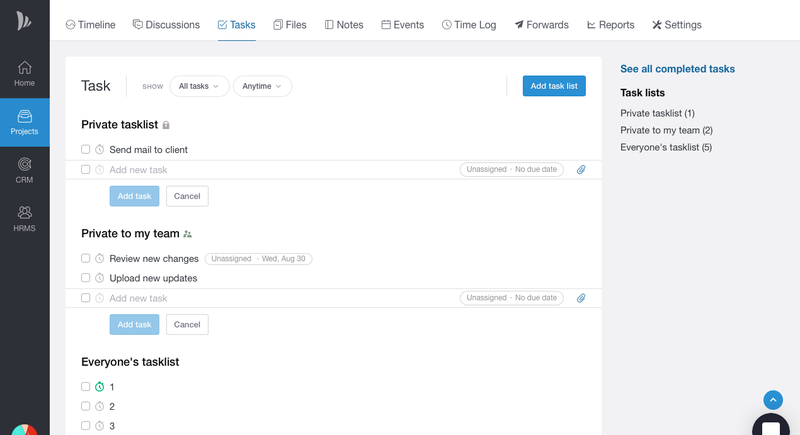 New features: Calendar, repeat tasks, privacy across projects. We’ve continuously improved TeamWave since launch, adding a number of awesome features and improvements focused on speed, power and flexibility. With a lot of feedback from customers, we are striving to make TeamWave significantly better in our September release. Updates include a revamped dashboard, new calendar on the home page, new privacy option in projects and lot more. 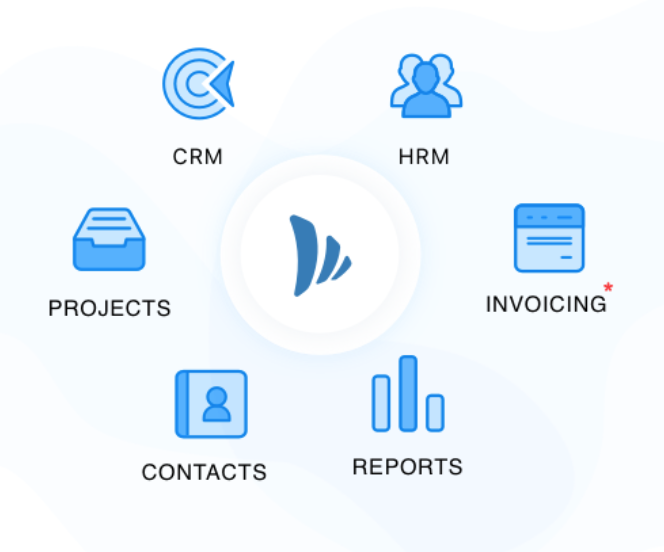 With this new update, all your tasks and activities will be sorted into Projects and CRM sections. They can also be managed and checked off right from the dashboard. The new calendar keeps all your project and HR tasks, activities, milestones, time-offs and events in one place. It’s easy to navigate between dates, weeks and months and see your scheduled activities. The account owner can now see everyone’s scheduled activities/tasks/events in a timeframe. Rather than loading a new page every time you edit a task, you can now edit and manage tasks on the same page from the task’s details pop-up. Now you can choose who can see your tasks, discussions, files, events and notes since all sections in projects come with a privacy option. Whenever a project is shared with a client, there might be some files/tasks which are only private to you or your team members and are not supposed to share with that client. In all those cases, you can make those tasks/files private to you or your team members by changing its privacy. In this release, TeamWave comes with following privacy categories: Everyone, my team, only me. We understand that sometimes your tasks are repetitive. We have added repeat option on tasks to reduce your continuous effort of adding same tasks. Now you can repeat tasks on a daily, weekly and monthly basis. Now while importing deals you can import deal owner, followers, deal status and deal close date along with previous fields from the spreadsheet. Removing people and adding them to negative list in CRM mail. In CRM Mail, whenever you are creating a deal from a mail and there are multiple persons in that mail, you can remove unwanted persons/mail ids right from that deal creation box and can also add them to the negative list. Download our android app now. greetings, when will be the mobile version IOS? Thanks for the updates. Can we please have the ability to assign project to a person or company? Currently we are only able to assign projects to a company. At this time, I can suggest this work-around: Create a company with same name as the person.